I created the card base out of the Slate cardstock included in the kit, and then adhered a triangle patterned paper to the top left corner of the card. 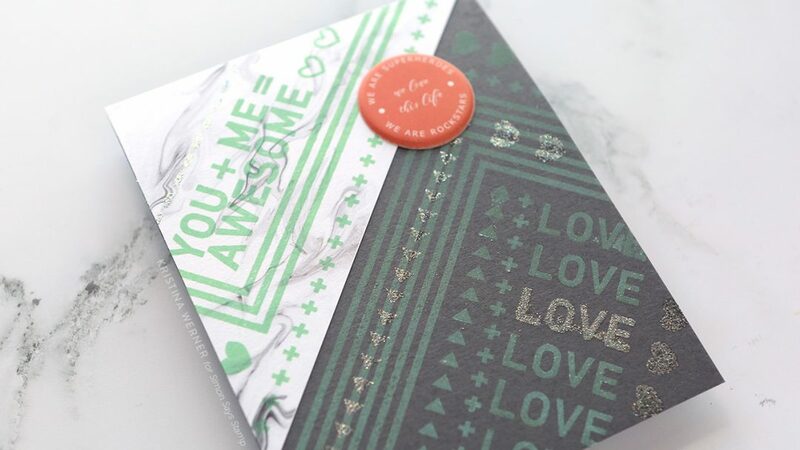 I used this diagonal line as the basis for all of the stamping. 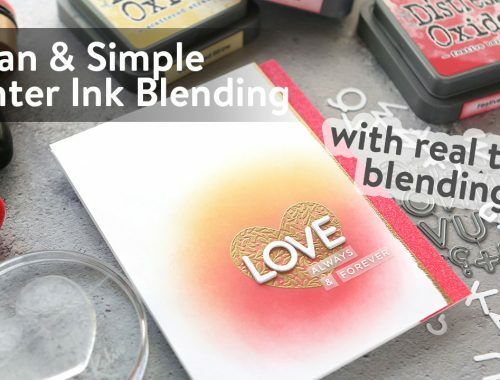 One of the best techniques with Distress Oxide inks is stamping on dark surfaces. Most other inks do not show up on dark surfaces, but the pigment ink qualities of Distress Oxide ink allow it to show up well on darker surfaces. 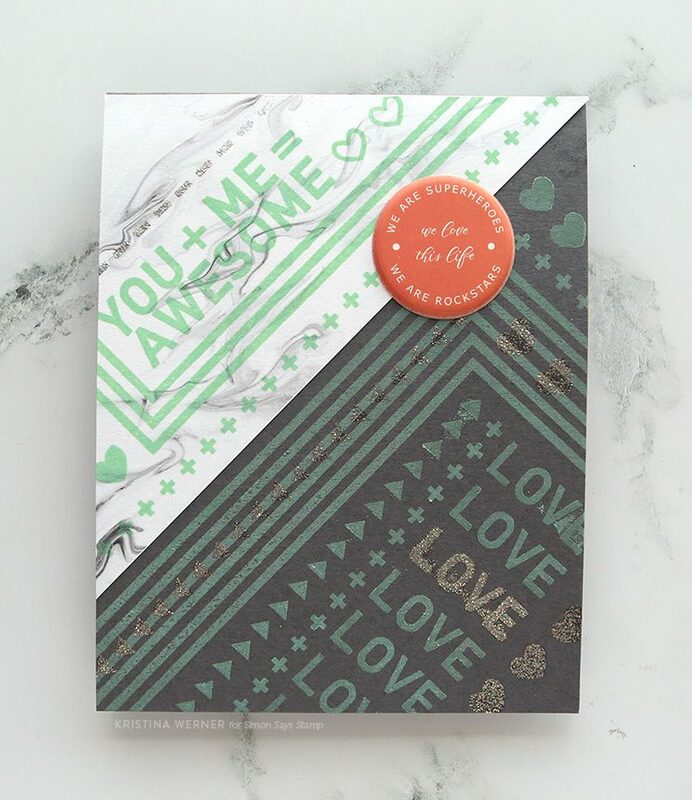 I stamped images from the You + Me stamp set in the kit using Cracked Pistachio Distress Oxide ink. 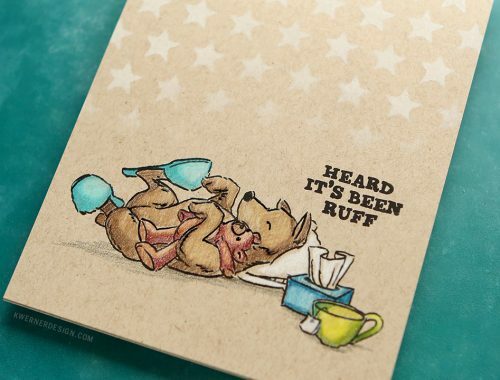 After the Distress Oxide ink was dry, I stamped additional images using Simon Says Stamp Clear embossing ink. This sticky ink gave something for the Wow Cloud 9 embossing glitter to cling to while I heat set it. To finish off the card, I adhered one of the puff stickers to the top right corner of the card.